Audioboom / #60 | Map of Ballybeg: Friel's "Translations"
Few writers ever managed to achieve the triple crown of critical acclaim, popular success and sustained relevance that Brian Friel managed in his five-decade long career. In this week's episode, Darach, Peadar and Siún discuss his masterpiece "Translations", which tells its story of doomed love and dark politics against the backdrop of the Ordnance Survey of Ireland in 1830 - a critical moment in the colonial project when Irish placenames were carelessly and significantly rewritten. What was the significance of this? How did it compare to other countries? And did "Love, Actually" borrow one of Friel's greatest scenes? 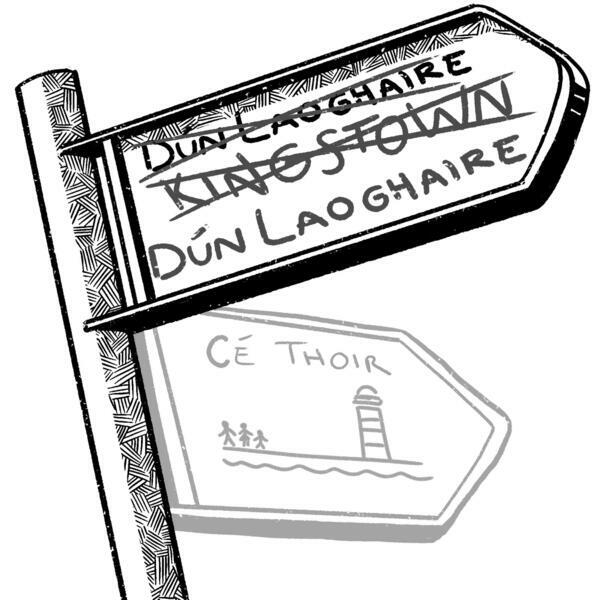 The gang consider the text as well as the good, the bad and the ugly of Irish placenames in general. Motherfoclóir was invited to the Kildare Readers' Festival in Newbridge in October, and this episode is the recording of that show.